The key to fundraising is making it easy and getting others involved. 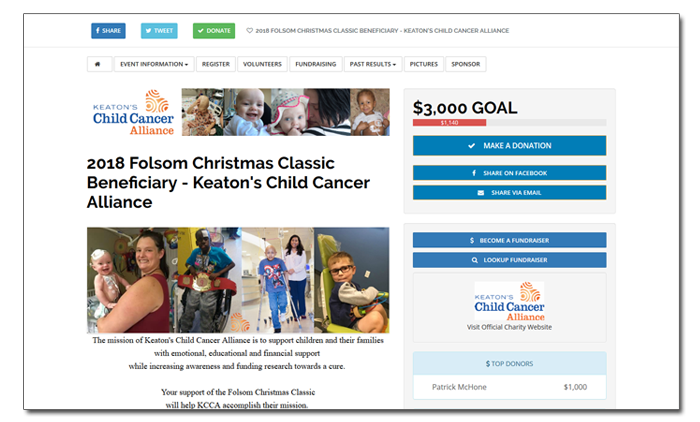 Your fundraising page can standalone or be integrated with event registration to maximize donations. Setup your campaign today and let teams and individuals fundraise! Setting up your branded fundraising page is a breeze, and with all the advanced features you can easily let teams and individuals fundraise and attract donors. Team pages with rankings encourage friendly competition and increase activity. One key to fundraising is making it easy, both for fundraisers and donors. With out mobile interface, donors can easily find your charity and donate...watch your donations explode! And if you use Quick Response Codes, it's even easier for donors to contribute! Our fundraising solution lets you customize your page however you'd like. From colors and buttons to headers and footers, you create the exact look and feel you want with messaging to connect with your audience.